We get many calls from people who have to appear for a habitual offender certification hearing at the DMV. If you or a loved one is in this situation, take it very seriously. What is a habitual offender? One subject of confusion is what “habitual offender” even means. In some states, habitual offender refers to a career criminal, allowing or requiring for an enhanced sentence. In New Hampshire habitual offender only relates to driving. It is a driving status that DMV slaps on those with a very bad driving record and the certification is not a crime. How does the DMV decide who becomes a habitual offender? One way to become a certified habitual offender is if you get three major motor vehicle violations over a five-year period, based on the date of the offense. Examples of such violations are DWI, driving on a suspended license, reckless operation, and other serious charges. A second way for the DMV to certify you is if you get twelve minor violations over a five-year period. Examples of these are speeding, driving outside of your lane, and so forth. Also minor and major violations can be combined to make someone habitual offender. Four minors equals one major. Typically the DMV computers flag user driving records to flag who should become a habitual offender. Someone at the DMV then reviews these reports and sends out a trooper to serve the driver with a notice of a hearing. What happens at the habitual offender hearing? The hearing is conducted by a hearings officer, typically a lawyer who works for the Department of Safety. The officer reviews your driving record and confirms that the convictions meet the standard for habitual offender. What most people don’t understand about this is that, if the convictions on the record meet the standard, the hearings officer has no choice but to make the driver a habitual offender. Many people believe they can explain that they were going through a tough period in their life but have improved a lot since then. Even if the hearings officer is sympathetic, and doesn’t want you to be a habitual offender, that doesn’t matter. She will have to certify you. Is there any way to get out of it? The only way out of becoming a habitual offender is if one of the convictions on your record is incorrect because a court reported it incorrectly to the DMV. One strategy is to try to go back to one of the courts and challenge the conviction. Sometimes we can beg a sympathetic prosecutor to reverse a conviction if we can really show that the client does not deserve to be a habitual offender. Or, we can carefully review the transcript of the hearing to make sure all the proper procedures were followed. A 2016 NH Supreme Court decision calling into question the legality of many operating after revocation convictions created a golden opportunity for this approach. What if it takes the DMV a very long time to serve you? One common situation is that it can take the DMV a very long time to find and serve a habitual offender a hearing notice. Sometimes this is the driver’s fault. Perhaps the driver left the state and the DMV couldn’t find him. Other times it is a DMV error. This can seem terribly unfair if your bad driving occurred years ago and you have cleaned things up since. Your lawyer can try to argue that the DMV waived the right to make someone a habitual offender because they waited too long to catch them. Unfortunately, this type of argument has not yet been successful. 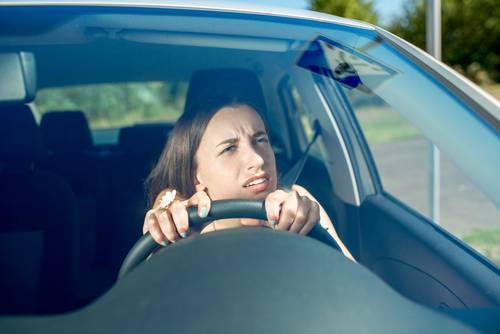 What happens if you drive while you are a habitual offender? If you drive after the DMV certifies you as a habitual offender this is a felony, with a maximum of five years in prison. It use to be that there was a mandatory minimum one-year sentence. The Legislature thankfully modified this rule a couple of years ago and Judges are no longer required to impose a mandatory minimum one-year sentence. How long will the DMV make you a habitual offender? If you can’t get out of becoming a habitual offender then the maximum period will be four years and the minimum will be one. The hearings officer has two choices. She can start the habitual offender period from the date of the hearing. OR, she can start from the date of the conviction for the most recent relevant driving charge. There is one catch that can potentially minimize the damage. If the most recent relevant driving charge was months or years ago, you could try to convince the hearings officer to backdate it, effectively meaning you will already have served a lot of the time. The DMV policy on this is that the hearings officer can only backdate if you have not had your license or driven since the last conviction. Therefore, if DMV serves you a habitual offender hearing notice, typically the last thing you want to do is to get your license back before the hearing. If you do, it will ruin any chance of convincing the hearings officer to backdate the certification. However, this is complicated and case-specific. Please contact a qualified lawyer for the best advice on your particular situation. Once you become a habitual offender can you ever get your license back? Another common false assumption is that once you finish your habitual offender time you will automatically be able to get your license back. In fact, even after you finish your time, you have to request a hearing at the DMV and show that you deserve to have them “decertify” you. Usually at the original hearing the DMV will tell you what they want you to do. Common examples include taking a defensive driving class, or substance abuse treatment if you had DWIs. A final thing to point out is that some people with DWIs on their record have an “administrative license” suspension that they are still waiting to serve. In some cases this must be served consecutively (meaning on top of) any other loss of license. Therefore, the driver does not start serving the administrative suspension until after they get their habitual offender status decertified. Drivers are often in for a rude awakening when they finally get their habitual offender status removed only to learn that they still have an additional loss of license to complete for an old DWI.